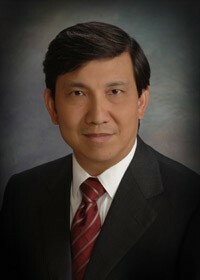 Professor J. S. Chen (UCLA) received the Computational Mechanics Award given biannually by the International Association for Computational Mechanics for his seminal contribution in nonlinear finite element and meshfree methods, Arbitrary Lagrangian Eulerian finite element method for large deformation and contact mechanics, multiscale materials modeling, and the stabilized Galerkin and collocation meshfree methods. The awards ceremony took place at the World Congress on Computational Mechanics in July. Chen is the co-chair of the organizing committee for IPAM’s Materials Defects program this fall.